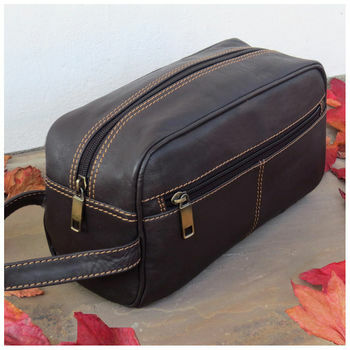 This brown leather wash bag is an ideal travel companion. It features a spacious main compartment with an inside zip and two further zipped pockets to the front and back of the bag, designed to keep your travel and toiletry essentials organised. There is a grab handle on the side. Genuine Leather is embossed inside on the sown in leather label and it is lined throughout in a water resisitant lining. 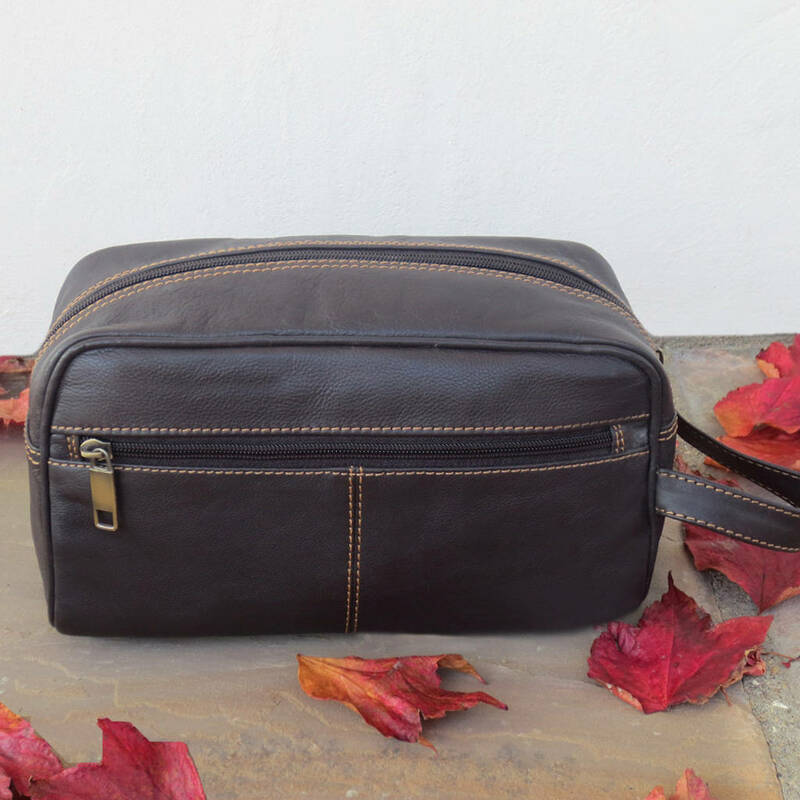 This handmade leather wash bag is an ideal gift for him as it will be with him on all of his adventures. It is perfect for any special occasion; birthday, anniversary, christmas, fathers day or even as a gift for the groom to take on honeymoon or as a thank you gift for the groomsmen. Holly Rose products are handcrafted from high grade, full grain, specially selected leathers to ensure you receive a premium product which looks good, feels great and stands the test of time. The leather is genuine and natural so with use it will develop a natural patina and any variations or marks in the grain are an indication of its uniqueness. This is the beauty of a fine natural leather. SIZE: Length 25cm x Height 15cm x Depth 9cm. This product is dispatched to you by Holly Rose.